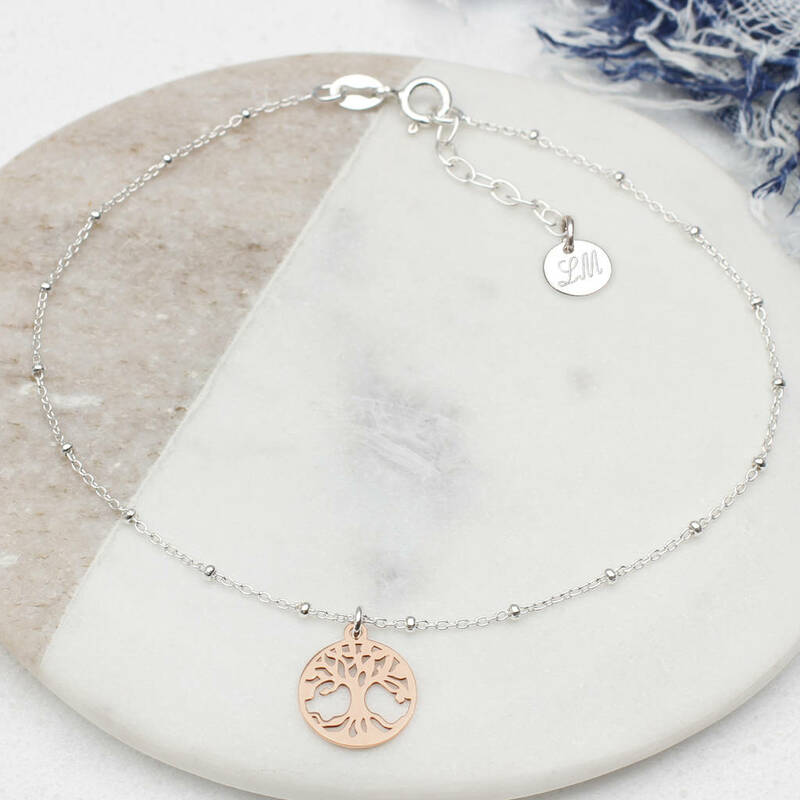 Gorgeous hallmarked sterling silver and rose gold tree of life anklet, with optional personalised tag, the perfect accessory for stylish ankles. 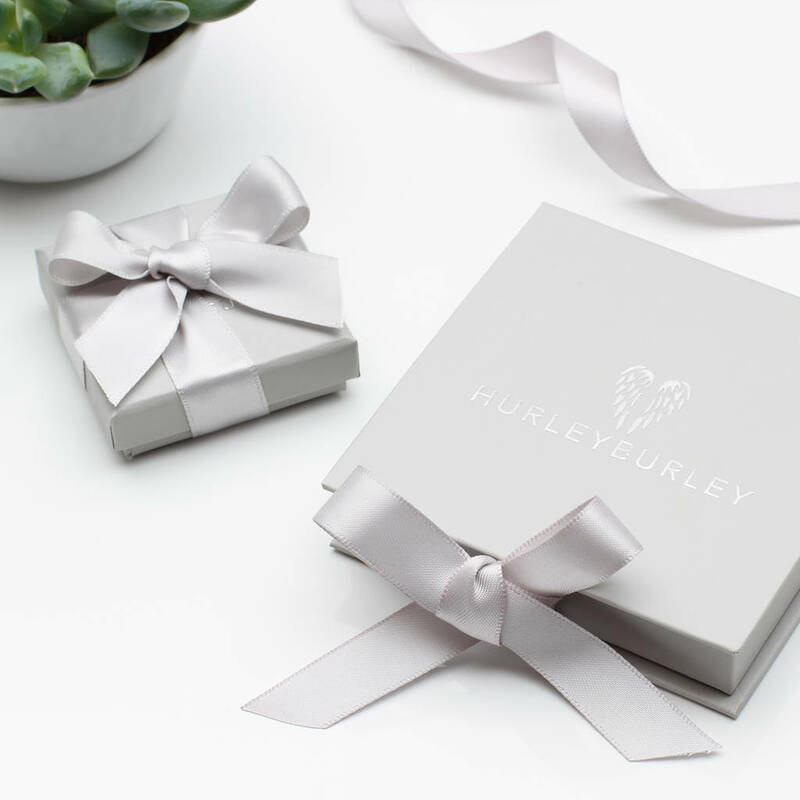 These pretty sterling silver and rose gold or plain silver charm anklets make the perfect gift for all occasions. Available in rose gold and silver or silver. Please keep your jewellery clean with a silver polishing cloth occasionally, this will keep it looking at it's best. 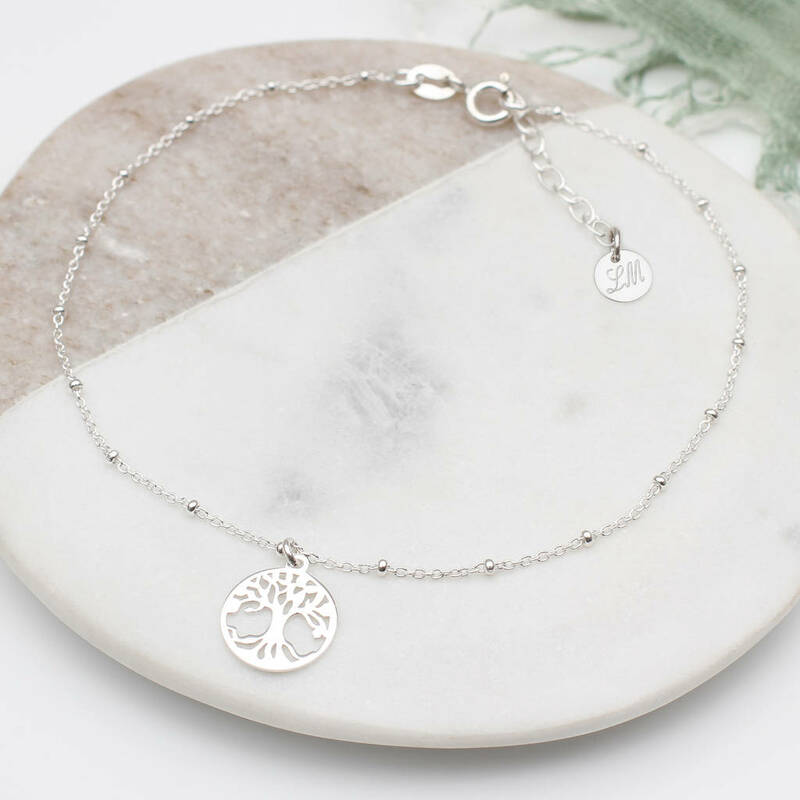 Anklets are hallmarked sterling silver and18ct rose gold.